Most people know that poor quality air is bad for their health. Particles emitted in vehicle exhausts and in power production and heating are major contributors to the noxious load in what we breathe. But researchers say that many people do not pay attention to other important causes of air pollution – and to what they as citizens can do to improve the situation and their long-term health. A major contributor that is often overlooked by the public is the ammonia produced by factory farms, said Dr Michela Maione, associate professor of environmental chemistry at the University of Urbino Carlo Bo, in Italy. Ammonia reacts in the atmosphere with pollutants from sources such as traffic or power plants to form particulate matter – very fine particles that can penetrate our lungs, with major health implications. ‘This is not really a problem with small-scale, sustainable agricultural practices, but (with) large-scale agri-food production of meat and dairy products,’ said Dr Maione, who was scientific coordinator of the EU-funded SEFIRA project, which looked at the socioeconomic implications of individual responses to air pollution policies in the European Union. The problem is that ingrained habits of daily life and the costs of making changes, along with misperceptions of the real causes of air pollution, pose major challenges to implementing cleaner-air policies in most cities. ‘Many people still think that big industry is the most polluting sector in Europe and they tend to disregard other sectors, such as agri-food and households, which are more linked to personal behaviours, thus delegating the responsibility to big polluters,’ said Dr Maione. The SEFIRA project looked particularly at Antwerp in Belgium, Milan in Italy, Warsaw in Poland, and Malmo in Sweden, and found big differences in attitudes and awareness from one city to another, indicating that no one-size-fits-all policy approach would succeed. A survey showed that in Poland, for example, the impact of the use of coal and biomass in domestic heating is one of the major causes of degraded air quality, but people dramatically underestimated the role of households in air pollution. Similarly, in Italy, Belgium and Germany, the agri-food sector is seen as much less polluting than is the case. Dr Maione said the result is that people do not take responsibility for the impact of their own behaviour. By making changes at home, people can make a significant difference. ‘By choosing to eat less meat, or meat produced in sustainable ways, we can help to reduce the quantities of ammonia emitted,’ she said. Dr Maione says that it’s important to focus not just on technical measures to cut pollution, but also on getting the message across to people of the need to make changes in their daily lives. ‘These could include steps such as not buying the highly polluting diesel vehicles, and driving our cars for fewer days and eating meat on fewer days,’ she said. Dr Enda Hayes, who is associate professor of air quality and carbon management at the University of the West of England, Bristol, agrees. Dr Hayes is technical director of the EU-funded ClairCity project, which aims to bridge such gaps by involving people in European cities in decisions about the best local options to ensure cleaner air and lower carbon emissions. 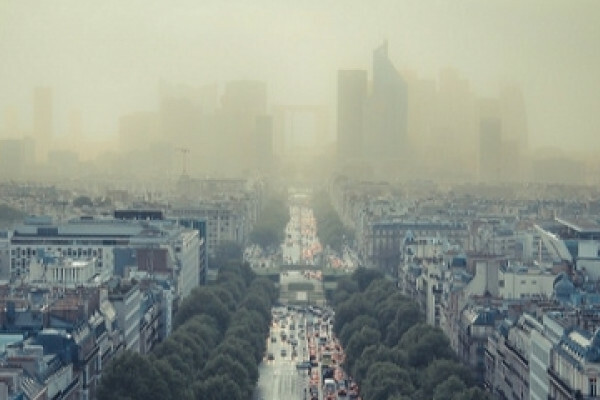 Among the aims of the project is to match people’s behaviour and the resulting impact on air quality in particular places, focusing on six European cities. For example, for citizens of Amsterdam, in the Netherlands, and Bristol, in the UK, road transport is a major contributor to air pollution, and so helping these cities to provide an environment in which people can make better and more informed personal transport choices may have a substantial impact in improving air quality. While in Sosnowiec, Poland, pollution from road transport is also significant, but the use of solid fuel burning for domestic heating and cooking is also a substantial contributor to poor air quality. ClairCity is trialling methods such as games, apps and citizen days, with the aim of building tools that cities and regional authorities can use to improve awareness and behaviour – and thus the quality of the air. Dr Hayes believes that innovative social science integrated with traditional analytical approaches can help people in thinking about air quality and developing policies around this. Previous Antibiotic resistance: how worried should we be? Next Evidence linking breast implants to cancer is mounting up.